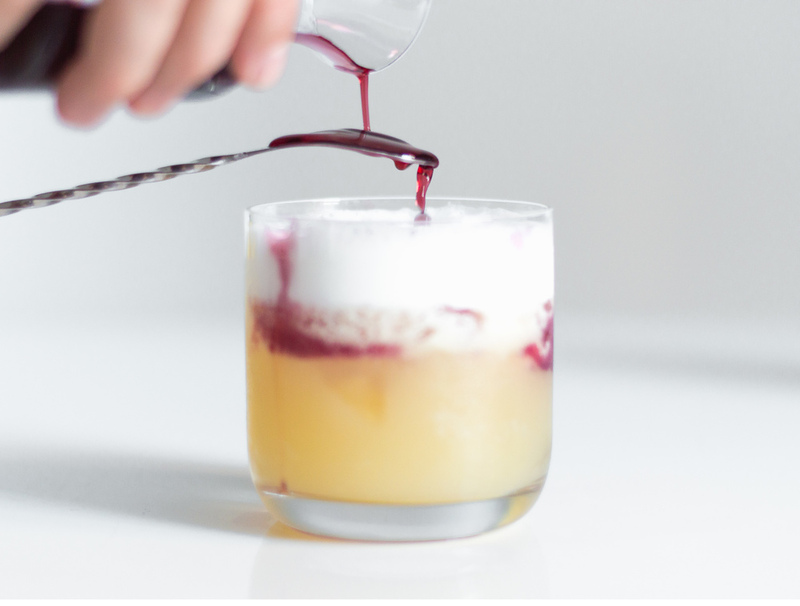 I've got a secret for you—red wine is your new favorite cocktail mixer. And no, I don't mean in an overly-sweet sangria—it's time to graduate to a more sophisticated drink. Whether we're talking the classic New York Sour or a bubbly blackberry-infused Spritz, the versatility and drinkability of a strong red wine is the perfect match. For wines that maintain powerful flavor profiles and stand out among even the strongest of liquors, meet Motto Wines. Motto Wines offers a new take on the traditional California red wine experience with a collection of distinctly dark, rich blends that deliver uncompromisingly bold flavor. Their wine lots stay separate through the aging process, and the final blends are determined right before bottling once the wines have evolved to reveal all their true character and complexities. The resulting wines are dark and bold, yet fruit-forward. From Backbone, their elegant Cabernet Sauvignon with delicate notes of ripe red plum and caramel; to Unabashed, a complex Zinfandel with soft leathery aromas and hints of chocolate-covered raspberries; and finally Gung Ho, a rich floral Red Blend, Motto holds its own in a cocktail, and then some. Check out our two favorite Motto recipes below, and be sure to visit their Facebook page for more inspiration - Facebook.com/mottowines. Throw everything except the wine in a shaker and dry shake for 20 seconds. Add ice and shake for an additional 20 seconds. Strain the mixture into a rocks glass filled with fresh ice. Slowly pour the Motto wine over the back of a spoon so it drips onto the top of the drink. Fill each slot in your ice tray with blackberries, raspberries, blueberries and water, and freeze. 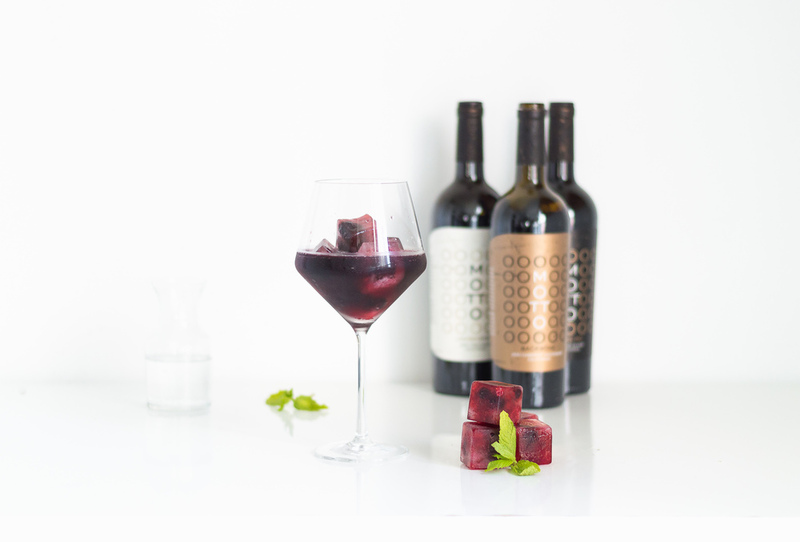 Fill a red wine glass with the ice cubes, Motto wine and sparkling water. This post was produced in partnership with Motto Wines.